Welcome to Semicopia where the future of food is ambiguous and uncertain. The production and consumption of meat raise great environmental concerns. While some advocate that we should simply stop this industry, others propose to solve the problems with technology by growing meat in the lab without animals. This project explores the cultural implications of this idea and the history of food-futures. While in-vitro or ‘cultured’ meat currently exists in laboratories, its production on an industrial scale and cultural acceptance as a foodstuff still pose many problems and questions. Wether or not it ever becomes widely available, in-vitro meat already tells a story about the power of science and technology to feed a growing population. This story regularly makes the headlines, framed either as an innovative ‘victimless’ solution to the issues of meat production or as a new type of ‘frankenfood’. Although some of these technologies are new, the stories that surround them are not, they are the latest chapters in a long history of food-futures dating back to the eighteenth century and the opposing predictions of Thomas Robert Malthus (overpopulation and famine) and the Marquis de Condorcet (progress and abundance). Semicopia aims to add to the discussions around in-vitro meat by looking back a the history of fantastical food forecasts. The project re-visits a popular format for showcasing visions for the future of food: the world’s fair exhibit. Throughout the 20th century, these spectacular events have been the stage for celebrations of abundance and breakthroughs in food technology; from giant statues made of grain or butter, to the popularisation of the hamburger and the wonders of the modern domestic kitchen. 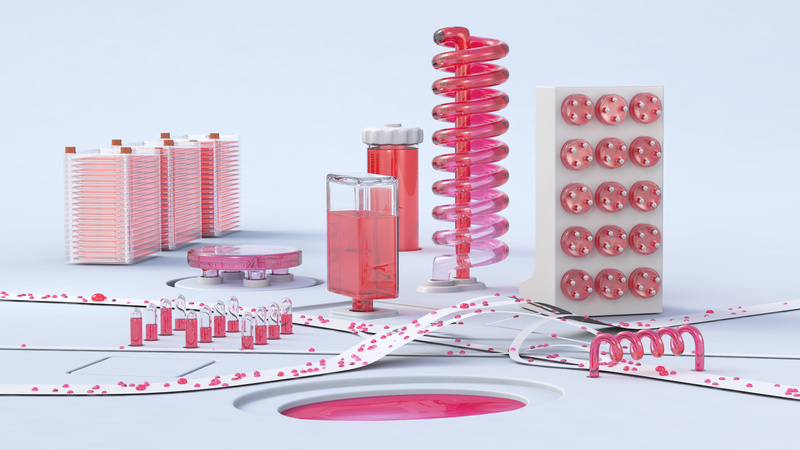 In Semicopia, dioramas inspired by the 1939 New York World’s Fair are used to tell more ambiguous stories which embrace the complexity of issues surrounding in-vitro meat, the economics of its production and the aesthetics of its consumption. Cathrine Kramer, Dr. Neil Stephens, Iain Argyle, Justin Pickard, Samson Sylvain and Institut Français in Tokyo, Neil Shepherd, We Made That.